I’m not sure if Sam just lucked out by having naturally nerdy parents, or if he gets obsessed with nerdy things because of his nerdy parents. Either way, he is one lucky dude. His preoccupations become the entire family’s preoccupations — I hunt for toys and books for him, Steven finds movie soundtracks and pertinent facts, and even Lydia acquiesces to play-acting whatever Sam is currently enthralled with. We all obsess together. It’s one of those weird ways that autism influences the family dynamic. Sam’s long-standing interest is Godzilla. A few weeks before his 4th birthday there was a traumatic event involving an ear infection and a doctor that wanted to look in his ears, so I offered to get him a helium balloon afterwards to make amends. And just like that, an obsession was born. 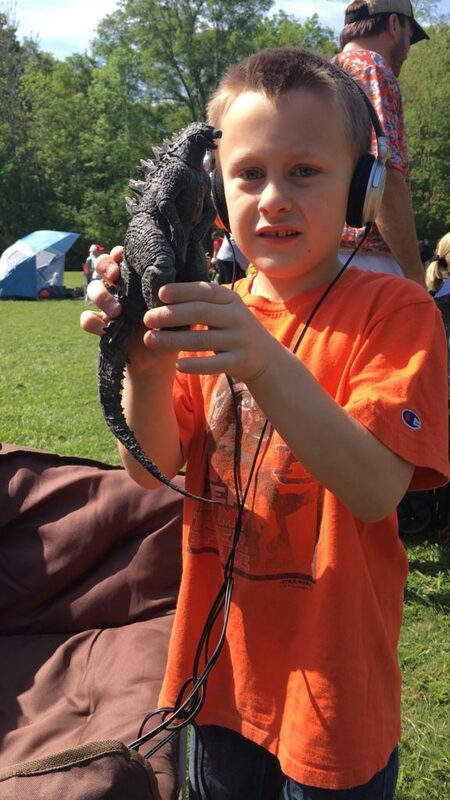 Two years and some 20 Godzilla figurines, four Godzilla books, three Godzilla shirts, and an inflatable Godzilla costume later, we are a fully-immersed Godzilla family. Sam and I spent this morning looking up the latest Godzilla movie info and Godzilla size comparison pictures. Did you know they’re making a sequel to the 2014 Godzilla, which will be out in 2019? Well, now you do! Did you know there will be a movie coming out in 2020 where Godzilla will fight King Kong? Well, now you do! Did you know the Shin Godzilla movie won for Best Picture in Japan last year? Well . . . now you do! I find myself scanning eBay every once in a while for elusive Godzilla toys, bidding on figures, buying them, hiding them in my closet for the next Christmas or birthday. Today I found out there is a Godzilla-themed hotel in Tokyo. And you know, it’s not a bad price to stay there! The expensive part is the plane ticket. Then I’m looking that up, and it’s not much more than going to London. So what if . . .? No. No. No way, that would be nuts. Can you imagine Sam in Tokyo? Can you imagine me trying to corral Sam in Tokyo? Maybe when he’s a teenager. 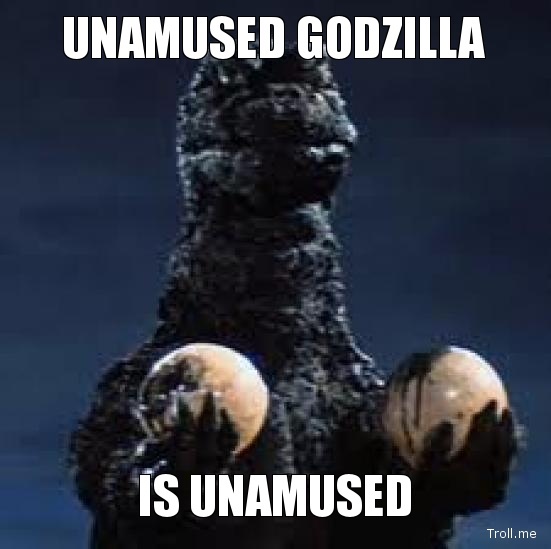 There are Godzilla comic books, a Godzilla subreddit, Godzilla shoes, Godzilla memes . 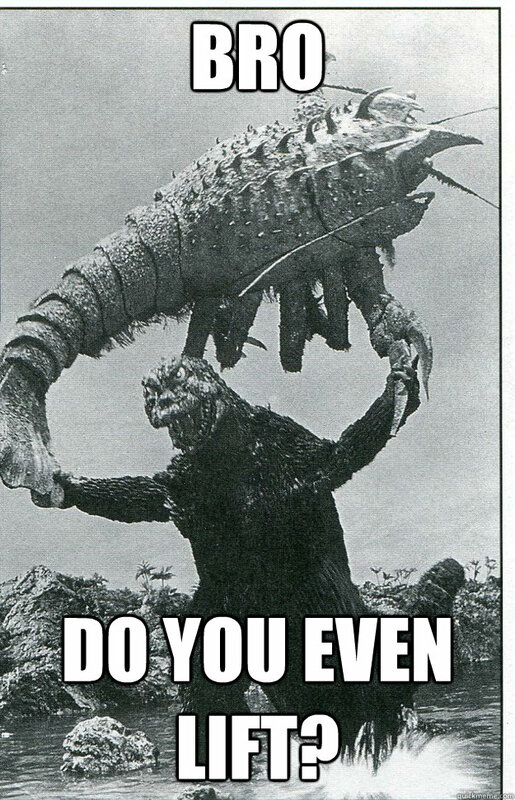 . .
Godzilla memes are best memes. 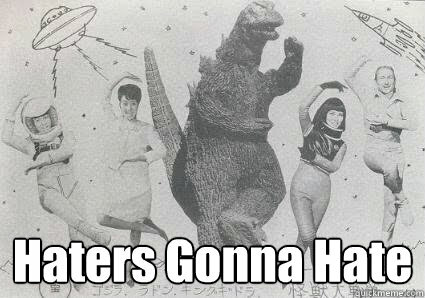 And now I’ve realized I’m also obsessed with Godzilla. But I don’t even like Godzilla! I don’t care how long he’s been around (since 1954), how tall Shin Godzilla is (118.5 meters tall), or if he has gills (don’t ask; it’s controversial). I don’t activate my geek powers because I like Godzilla, I do it because I have this sweet, caring, obsessive little ball of anxiety named Sam.